Last week, China became the first country to land a spacecraft on the far side of the Moon — the clear sign of their scientific ambition, The Economist reports. Why it matters: Under President Xi Jinping's direction, China is surging ahead with the recruitment of top scientists to work on new frontiers, while the U.S., without a similarly coherent strategy, risks falling behind the nation that has emerged as its most consequential adversary for the next century. 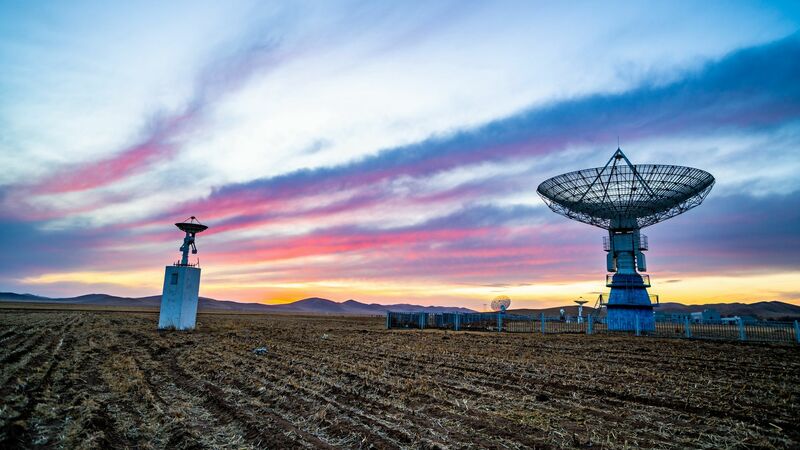 China has spent billions of dollars on dark matter detection equipment and scientific institutes, while producing 11% of the most influential scientific papers between 2014 and 2016. Be smart: "Authoritarian governments have a history of using science to oppress their own people. China already deploys [AI] techniques like facial recognition to monitor its population in real time," The Economist writes. SpaceX's Crew Dragon capsule and walkway rests atop a Falcon 9 rocket in Cape Canaveral, Florida on Jan. 3, 2018. Credit: SpaceX. The partial government shutdown, now in its third week, is taking an increasingly heavy toll on some of the nation's premier science agencies and those that depend on them for their work, funding and in some cases, safety. Why it matters: The U.S. faces increasing pressure from abroad, particularly from China, to maintain its leadership edge in innovation. The shutdown is hitting numerous science-focused agencies, including the National Science Foundation, National Institutes of Standards and Technology, NOAA, NASA and the U.S. Geological Survey. Between the lines: This week, there are two annual scientific conferences taking place in the U.S. that typically draw top federal science experts: The American Meteorological Society's annual meeting, and the annual meeting of the American Astronomical Society. The impact on the weather conference in particular is notable: Out of about 4,000 participants, 700 federal experts were forced to cancel their trips at the last minute due to lack of funding, resulting in about 800 canceled presentations. The shutdown "delays a lot of innovative technologies" and "impedes research progress," AMS Executive Director Keith L. Seitter told Axios, pointing to the many collaborations that arise from the meeting. Weather forecasts for the U.S. are less accurate because of the shutdown. At NOAA's Environmental Modeling Center, the hub of weather modeling within the sprawling agency, model upgrades scheduled for February are delayed, and models aren't being fixed in the meantime. The U.S. is widely viewed as having fallen behind other nations, particularly the E.U., when it comes to the accuracy of its main forecast model, known as the GFS. The GFS' accuracy has been running particularly poorly during the shutdown, and no one is on duty to fix whatever is going wrong. National Weather Service forecasters are working without pay, but training and maintenance at the agency is on hold except for emergencies. This includes courses that require in-depth training in order to fix equipment and for operational forecasting, a NOAA employee told Axios. In addition, outreach from the National Hurricane Center to emergency managers — a crucial link when storms strike — is on hold. Unknown 2018 temperature ranking: As part of the shutdown, NOAA pulled down its vast climate science databases, affecting scientists beyond the agency. At NOAA and NASA, data processing still needs to take place in order to determine where 2018 fits in the list of warmest years on record, a key indicator of long-term climate change. Separately, the EU reported Monday that 2018 was the fourth-warmest year on record. Commercial crew delays: This is a critical year for NASA's goal to resume launching astronauts to space from U.S. soil, which hasn't happened since the Space Shuttle era ended in 2011. The agency is banking on private sector contracts with Boeing and SpaceX to accomplish this, but those companies first need to pass rigorous safety tests that were scheduled to begin on Jan. 17, in the case of SpaceX. However, with NASA contractors furloughed, SpaceX's first uncrewed test of its Crew Dragon capsule has been pushed back, as indicated in a recent tweet from CEO Elon Musk. No grants may mean no students: The NSF has indefinitely suspended reviews of grant proposals, and may delay decisions in awarding funding for postdoctoral fellowships. If that happens, uncertainty will extent to university science departments that offer slots based on funding. Andrew Dessler, a climate scientist at Texas A&M University, said via Twitter that the shutdown could eliminate spaces for graduate students in 2019. Private sector wins: The AMS' Seitter said the shutdown ultimately makes federal service less appealing to students who would otherwise look to government agencies as their most rewarding career opportunity.